For those who would like to see the practical side of the National Trust, a visit during the restoration of the Godolphin property near Helston is the ideal opportunity to do so. As the house is slowly restored to its former glory, "hard hat" tours are offered around the house for visitors to get a peek inside and appreciate the massive undertaking of such a restoration project. It also whets visitors' appetite to return when the house is completed to admire the finished restoration of this important historic home. 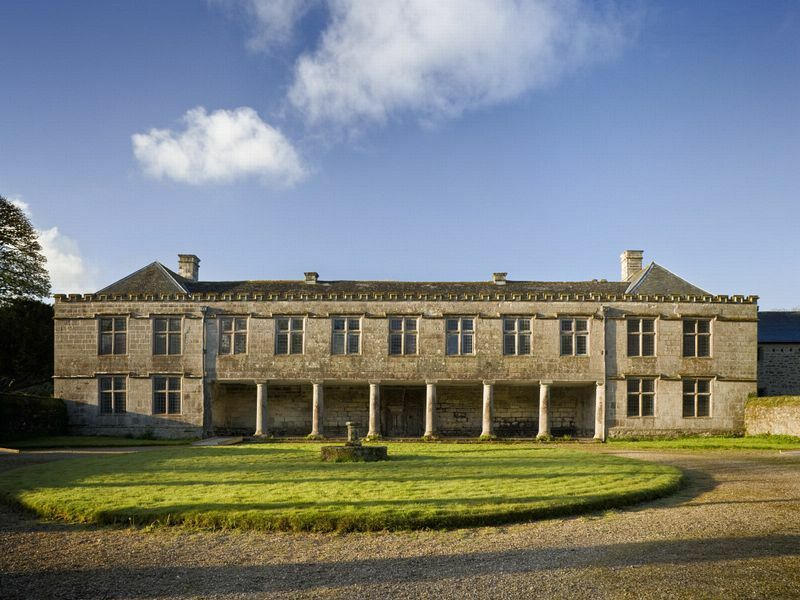 through well-arranged marriages and loyalty to the crown, the Godolphin family became the leading family in Cornwall. William Godolphin was knighted after playing an important part in the successful Siege of Boulogne in 1544. Further down the line, Francis Godolphin became Governor of The Isles of Scilly in 1575 after holding the islands for the king during the Civil War. The oldest parts of Godolphin House go back to the 1470s, where, in the east wing visitors can see the typical patterned ceiling beams and linenfold panelling. With each rise in fame and prosperity, the house was extended until by the 17th century Godolphin was the largest in Cornwall. However, when the first Earl, Sidney Godolphin became Lord of the Treasury in the early 18th century the family enjoyed London society life and the Cornish seat was neglected. Eventually the Impressionist painter, Elmer Schofield, bought the estate in 1937 and set about restoring it but by the year 2000, the estate had been handed over to The National Trust. The two-storey house is long and low, almost blending with the small fields and wooded hillside around. 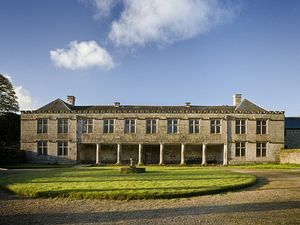 The stone-mullioned windows and granite colonnade are the most interesting features of this Tudor and Jacobean house, which is set around a grassy open courtyard. Great Hall on the south side of the C-shaped house, reached through an arched porch with massive oak doors. The eight Tuscan columns of solid local granite support the colonnade along the north-facing entrance. 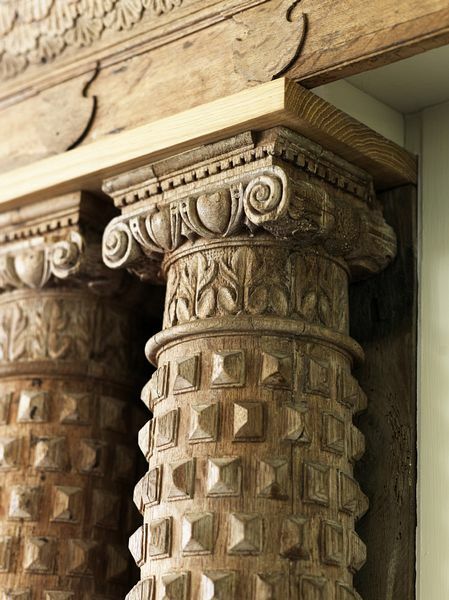 The Italianate loggia was added by Sir Francis Godolphin II in the 1630s along with the second floor rooms. It was no doubt influenced by Inigo Jones's Banqueting Hall which was the talk of the London at that time. The west wing consists of a large and lofty chamber, called the King's Chamber, said to have been where the future Charles II rested before fleeing to the Scillies and France after his defeat at the battle of Naseby. 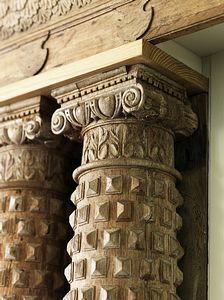 Other features to look for in the house are the elaborate plaster cornices and the lead drainpipes topped with the double-headed eagle-- the family insignia on the Godolphin coat of arms, along with a leaping dolphin. 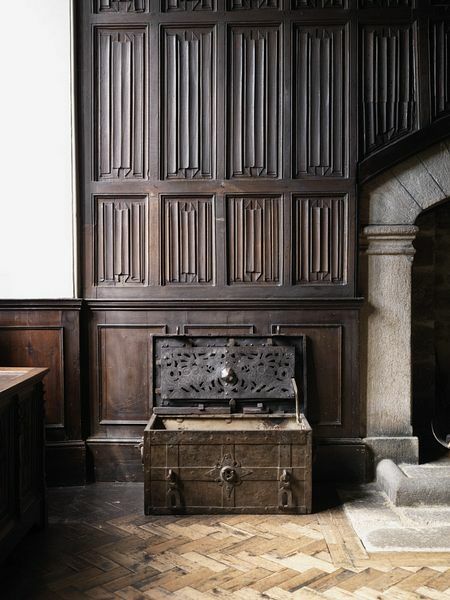 A carved wooden door and surround commemorate the marriage of Sir William Godolphin in 1604 to Tomasine Sidney. The gardens were the first part of the estate which the National Trust worked upon, although the emphasis is upon its medieval layout and pattern rather than its plants and flowers. See the Renaissance garden, inner garden and the box hedges dividing up the beds in the King's Gardens. The walk through the wooded estate is also a delightful part of any visit. First 39 Camborne-Helston (passing close Camborne). From Helston take A394 to Sithney Common, turn right on to B3302 to Leedstown, turn left and follow signs. From Hayle take B3302 to Leedstown, turn right and follow signs. From west, take B3280 through Goldsithney and turn right at Townshend.